How do you spell the word excite in the most exciting way? The Meridian teachers figured out the best way to excite ‘excite’! The three exclamation points truly added and defined the enthusiasm each teacher and staff felt during the opening of the community building-up event called Playshop last April 20. In its third season, the Playshop opened the theme, “EXC!! 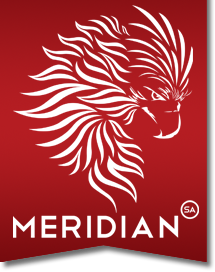 !TE” to welcome the new academic year and to set the hearts, minds and bodies of each member of the Meridian family on the same journey. Through professional and personal development activities, the teachers and staff have been ignited by a powerful and inspiring message this summer- to find a mold for each child and that is only possible if LIFE is the only subject matter the Meridian curriculum teaches. There were many activities that equipped the teachers and staff over the past weeks and it will continue throughout the summer. Seminars, workshops, conferences, and think tank sessions are those that have been fueling the teachers and staff. We are gearing up for an EXC!! !TING year for all students, parents and friends of Meridian.